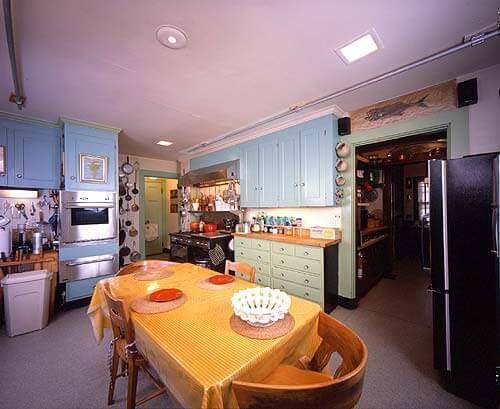 When it comes to vintage kitchens — Julia Child’s kitchen is one of the most famous. 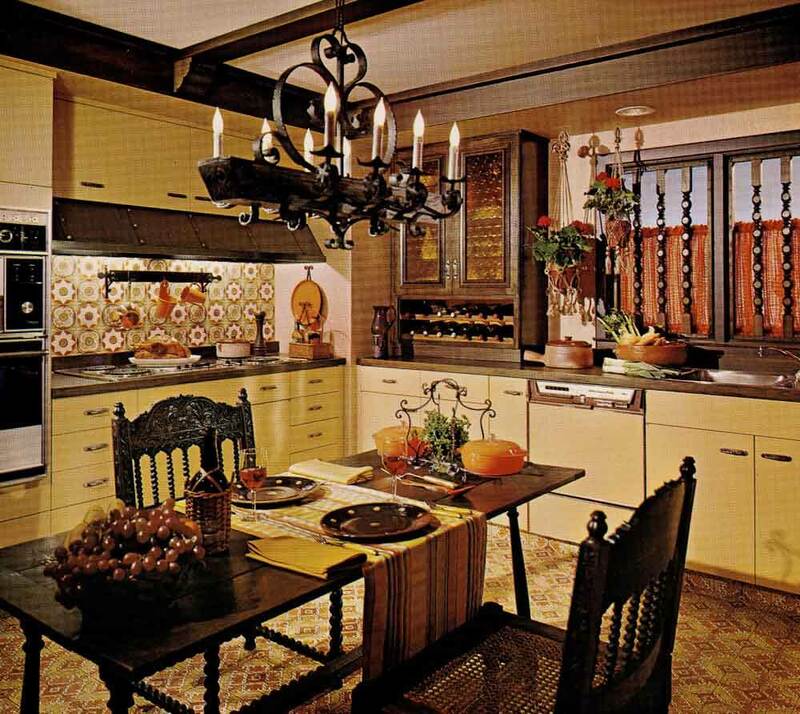 And it wasn’t a fancy schmancy designer confection — it was a real kitchen. A cook’s kitchen. 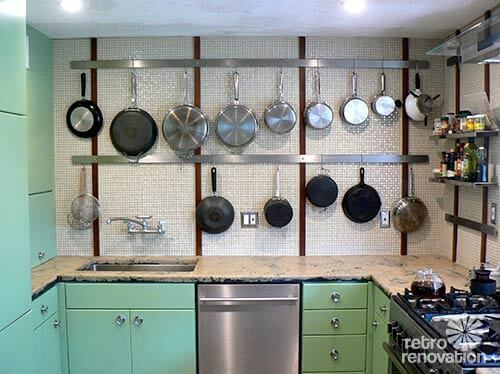 One of its most memorable features: Julia Child’s very practical — and very affordable — use of pegboard to keep her pots, pans and utensils close at hand. Quick! Grab the wisk! Can’t burn the beurre blanc! Pegboard and vintage kitchens work wonderfully together — we spotted a Julia-Child-esque setup in Kristin and Paul’s charming home. Since vintage kitchens sometimes have limited storage space, employing a section of pegboard — which can be found easily and cheaply — provides the perfect way to use vertical wall space for storage. Pegboard takes up much less space than a cabinet, shelf or traditional pot rack, making it ideal for tight or odd shaped areas. It can also be painted any color, allowing it to be matched to surrounding walls or painted an accent color to make a great backdrop to spotlight your collection of vintage pans. If your kitchen is more mid century modern, but you still like the idea of being able to display your prized pots, perhaps a more minimal wall display, like Doug created in his retro modern kitchen, is more your speed. Here we get the same storage benefit and visual appeal as Julia Child’s pegboard set up, but with a modern twist. An added bonus — pots, pans and colanders are in easy reach. No more digging around in the clattering mess that is your current pot cabinet. 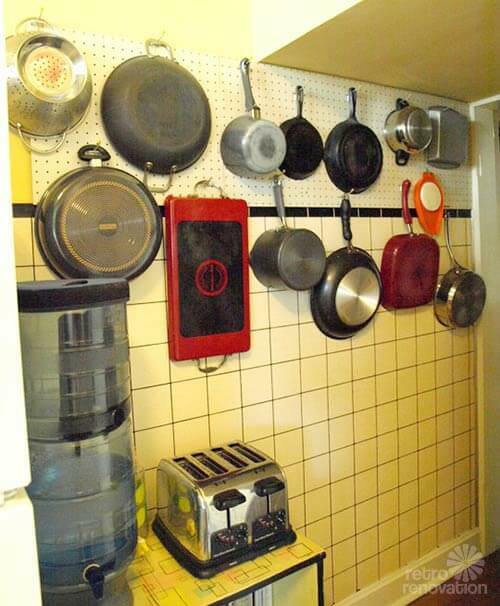 Readers — do you have pegboard in your vintage kitchen — or elsewhere in your house? 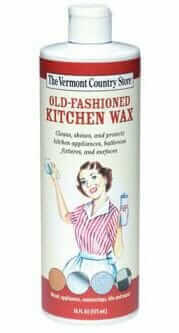 Where can I find retro metal kitchen cabinets in Delaware valley area? This is absolutely the best access to pots & pans. And to think when we moved in we thought that super-shallow space with pegboard behind the folding louvered door was a waste of space.